The relationship between the park district and over 30 affiliate, parent, and special interests groups is special and creates an array of recreational opportunities for all ages and interests. 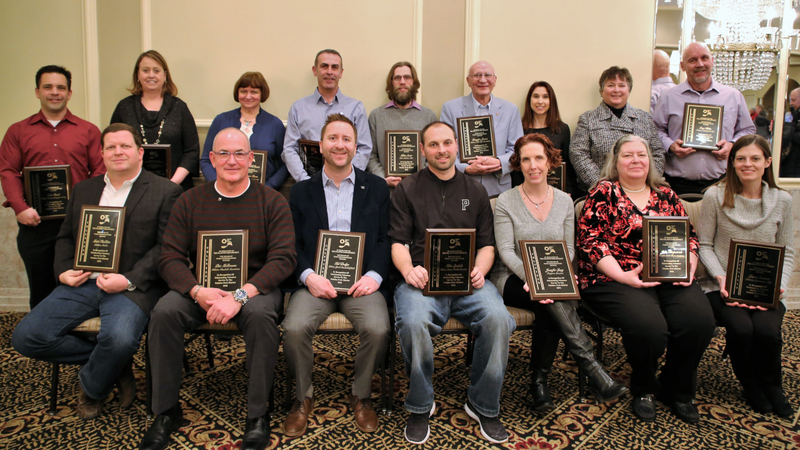 On Saturday, February 2, Palatine Park District recognized 18 volunteers for their service to affiliate groups and associated organizations of the District at the 20th annual Volunteer Recognition Luncheon. Volunteers were chosen by each organization for their service during the 2018 calendar year and were recognized during a luncheon held at Cotillion Banquets, 360 S. Creekside Drive, in Palatine. In addition to these volunteers, two long term community members were inducted into the Volunteer Honor Roll in recognition of their service. Gus Panos introduced R. Barry “Bear” Shatwell from the Palatine Pickleball Club and Fred Hall introduced John Helpap from Palatine Hills Golf Association. To be considered for the Honor Roll, a volunteer must have held a leadership position in an organization (or organizations) for a significant number of years. Honor Roll members must also have demonstrated an outstanding contribution to their organization. 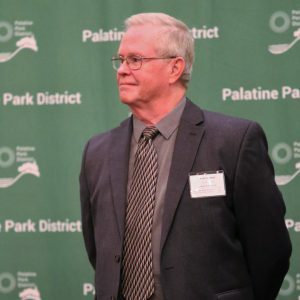 Annually, the Honor Roll Committee reviews all past and current volunteers of the year and provides recommendations to the Palatine Park District Board of Commissioners for Honor Roll consideration. 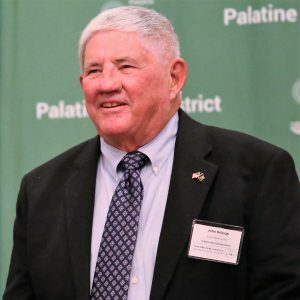 The luncheon program included welcoming remarks by Dennis Hanson, current chair and one of the original members of the Honor Roll Committee and a keynote address by Reid Ottesen, Village Manager for Village of Palatine. Honor Roll Committee members also provided remembrance remarks for two community volunteers who passed away in 2018. Jim Lennon spoke of Gary Gray, 2017 Honor Roll inductee, and Carolyn Mangold helped the audience remember Marilyn Pedersen who was named to the Honor Roll in 1980. The Volunteer Honor Roll committee includes Donelda Danz, Alissa DePue, Linda Fleming, Dennis Hanson, Jim Lennon, Carolyn Mangold, Gus Panos, and Don Torgersen.